Electronic collars have been around for over 30 years. The first generations of electronic dog collars were less sophisticated and reliable than today's collars. The hand held transmitters were only capable of delivering one level of correction to the dog and the collars were bulky and less durable than today's models. Within the last decade, manufacturers worked to improve their designs. Bulky electronic dog collars, were replaced with smaller more ergonomic and durable units. 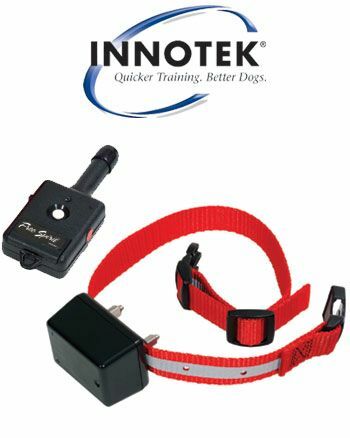 New electronic dog collars appeared on the market that were capable of giving the trainer the ability to select multiple levels of intensity from the transmitter. This single advancement combined with customer education has done more for the widespread acceptance of the electronic dog collars than any other advancement in the electric dog collars’ history. If you are unfamiliar with the proper use of electronic dog collars we recommend the Total E-Collar Conditioning with Mike Lardy - Video or DVD. 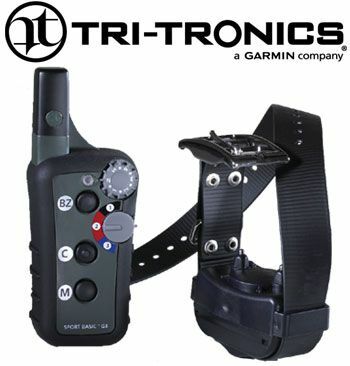 We only sell electronic dog collars from the top 5 manufacturers: Tritronics, SportDog, Dogtra, Innotek, and DT Systems. If you are new to electric dog collars, please read the following Electronic Collars - Buyers' Guide. Since 1968, Tri-Tronics has been devoted to providing the safest, most reliable electric dog collars on the market. Tritronics has been built on a solid foundation of service. Tritronics electronic dog collars have proudly fulfilled that promise for over three decades. As a result, their employees are celebrating a fourth decade of living up to the company's motto - "Making it easier for dogs to learn." TriTronics Electric Dog Collars have all the ruggedness and quality you’ve come to expect from the tritronics electric dog collars at an affordable price. Tri-Tronics has designed small ergonomic transmitters that fit in the palm of your hand. Their new G2 Series electronic dog collars are 30% smaller then their predicesors, 100% waterproof, and boasts a rugged Lexan "bullet proof" casing. The new G2 Series has been upgraded with new NiMH batteries and comes with a rapid charger. Now you can charge electronic collars to full strength in 2 hours, rather then waiting all night. Take a look at the next generation of electric dog collars and pick up a Tritronics G2 Series collar today. Click here for our Tri-Tronics Electronic Dog Collars - Comparison Chart. Dogtra is a world leader in electronic dog collars. Focusing on durability and superior electronics, Dogtra electronic dog collars are designed for all sporting breeds. 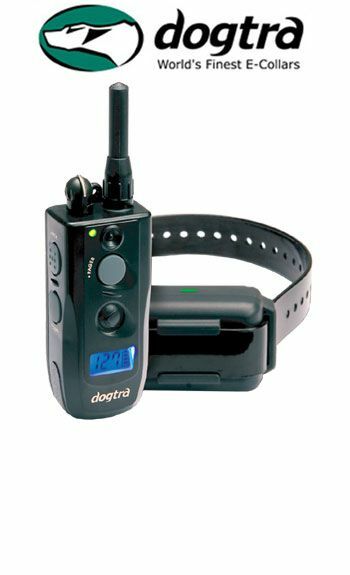 Dogtra electric dog collars offer the following standard features; Nick and constant stimulation modes, Pocket-sized transmitters that feature user-friendly controls, Digital electronics and long-lasting rechargeable Ni-MH batteries, Waterproof transmitters (2000/1200 series), Non-exposed collar antennas. Some electronic collars even offer a vibrating pager mode - a non-electric stimulation. Click here for our Dogtra Electronic Dog Collars - Comparison Chart. The SportDog electronic dog collars are built to last and fit the budget of today's gun dog enthusiast. All SportDog electronic collars are designed by sportsmen for sportsmen and backed by a Lifetime Warranty. They include waterproof collar/receivers, rechargeable batteries and guaranteed by a lifetime warranty. 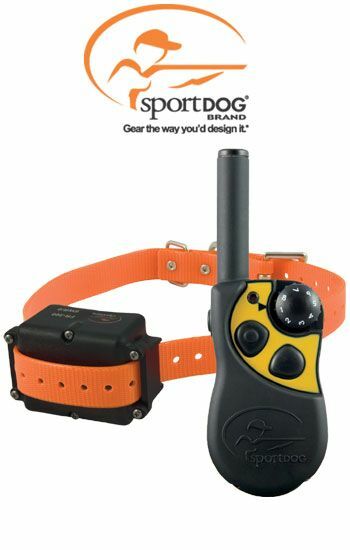 Only the SportDog electric dog collars can be upgraded to a multi-dog unit by simply buying the Sport Dog Add-A-Dog Collar Receiver (excluding the SportDog - SD-2400). SportDog also offers a new deluxe beeper, which can be added to all their electronic collars for an instant beeper/trainer combination. Click here for our SportDog Electronic Dog Collar - Comparison Chart. Innotek makes a complete line of electronic dog collars for the hunter, the field trialer, and the hunt test enthusiast. You want dogs that learn faster and hunt smarter. Innotek electronic collar systems help you get there. Pointing dogs, retrievers, flushing dogs, hounds... no matter what type of training you're doing, we're here to help. The Command Series II Professional shock collar systems offer the most advanced transmitter design Innotek has ever made. These shock collar systems offer 15 separate levels of stimulation, running from ultra-low for basic yard work to high for difficult/stubborn dogs. The rugged, waterproof control unit puts all of the important features right at the handler's fingertips. Additionally, Innotek offers the Command Series 16000 model that supports up to 4 additional accessories, such as Innotek Auto Backers, Innotek Bird Launchers, and Innotek Beeper Collars, all conveniently controlled from the hand-held transmitter. Click here for our Innotek Electronic Dog Collar - Comparison Chart. DT Systems, Inc. is the second oldest manufacturer of electronic dog training collars in the world. DT Systems electronic dog collars have been building the worlds’ finest, most advanced and affordable electronic collars since 1983. With their corporate office, service center and shipping facility located in Dallas, Texas for over 18 years, DT Systems and its staff is always dedicated to quality, innovation and service. DT Systems have an ongoing goal to design and construct unrivaled electronic dog collars that are compact in size while maintaining maximum range, power and performance. DT Systems electronic collars are extremely durable, reliable and always simple to understand and operate. 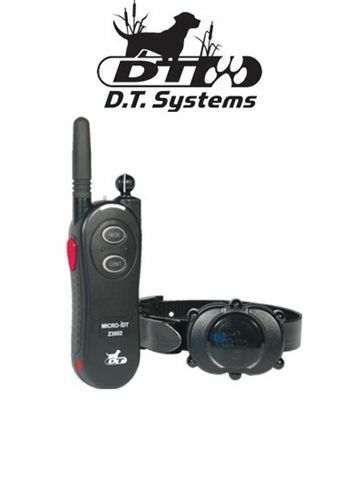 Click here for our DT Systems Electronic Dog Collar - Comparison Chart.